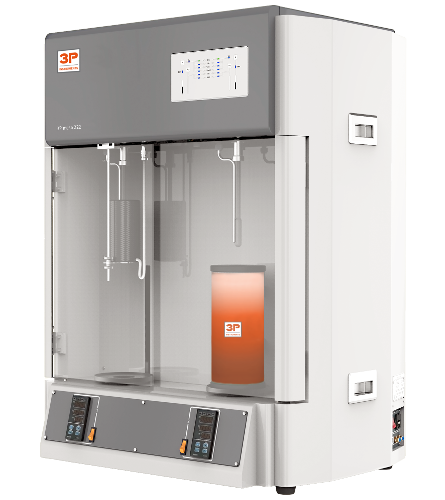 The 3P meso 112 & 222 series of instruments offers fully automated volumetric sorption analysis with Nitrogen and other non-corrosive gases on one or two analysis stations respectively. It allows the characterization of mesoporous materials at a minimum of space requirements. 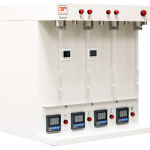 The 3P meso 112 is capable of measuring one sample while at the same time carrying out an in-situ degassing of a second sample. At the end of both the analysis and the degassing process, the heating mantle is switched with the dewar and analysis continues on the second sample. Alternatively, both stations can be used for sample activation. A two-station analysis setup with integrated sample preparation is also available in the form of the 3P meso 222. This system allows a simultaneous analysis of two samples.